Nearest Airports: 75 minutes to Geneva airport. The resort boasts the ownership of the highest mountain in Europe, the Mont-Blanc. The famous “Voie Royale” departs from Saint-Gervais and is renowned to be the most direct access to the summit. All four villages have something different to offer: Le Fayet, gateway to the resort boasts a lively casino, Saint-Nicolas de Véroce a beautiful Baroque church, Saint-Gervais a busy town centre and Le Bettex, at the foot of the slopes, offers direct access to the Evasion Mont-Blanc ski area. Saint-Gervais lies at the heart of the Evasion Mont- Blanc ski area offering 445 kilometres of slopes towards Megève, Combloux, Les Contamines Hauteluce and La Gietaz. The resort also benefits from 55 kms of slopes on the opposite side of town in Le Prarion and Les Houches, accessible by the Mont-Blanc Tramway, one of the oldest rack and pinion railways in the country. In the summer it is popular for its fair weather alpine activities available such as Mountain Biking, Climbing, Hiking, Paragliding, Rafting, etc. 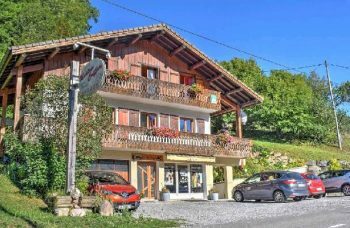 as well as making use of the all year thermal spa ‘Les Thermes’ which sits within the beautiful ‘Parc Thermal’ in the lower village of Le Fayet. Les Contamines Montjoie is located in the French Alps. Geneva airport 75 mins and 15 minutes from the Saint-Gervais-les-Bains-Le Fayet Train Station and from the A40 Highway (exit 21). 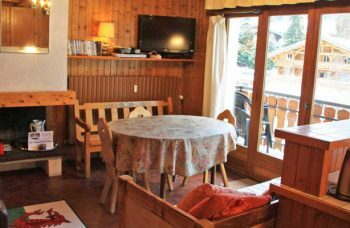 Les Contamines is located in between the well known resorts of Chamonix and Megève, it is close to Mont Blanc which means that it is used for both mountain climbing in the Summer and skiing in the Winter. Its proximity to Chamonix means that access to Italy is easy via the Mont Blanc Tunnel.